Closeout. 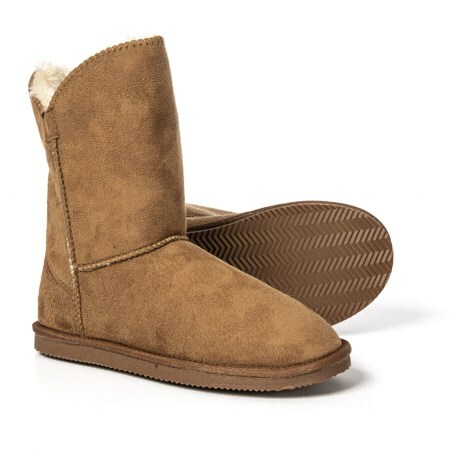 Feet stay cozy warm and comfortable in these Apres by Lamo Angle Classic boots, thanks to the faux fur lining and cushy footbed. Available Colors: CHESTNUT, BLACK. Sizes: 6, 7, 8, 9, 10.